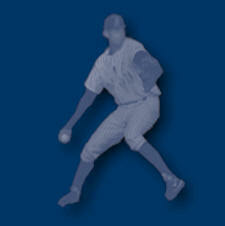 Glen Jevne's world class fastball career lasted twenty-three years. Glen was on the Wetaskiwin Driard and Sport Shop Teams which won Provincial Championships every year 1968 ‑ 1975, with the exception of 1974. That year, to face greater competition, Coach Arner entered the Juniors in the Intermediate A Men's Provincial Playdowns held at Grimshaw. The team won silver. After 1975, Glen went on to pitch for Wetaskiwin Car Capitals, Edmonton Pine Well Riggers, Camrose Merchants, Calgary ABC and Calgary Otto Mobiles. In all, Glen Jevne was on teams which won 18 Provincial championships. Glen appeared in ten consecutive Senior Men's Canadian Championships. He won four Gold, one Silver, and three Bronze in National competitions. In International competitions, Glen's teams won 2 Gold and I Bronze. Late invitation to join, but Glen declined: 1983 ‑ PanAm Games at Caracas, Venezuela, and 1984 ‑ Worlds at Manila, Philippines. 1987 ‑ Gold - Pan American Games at Indianapolis. 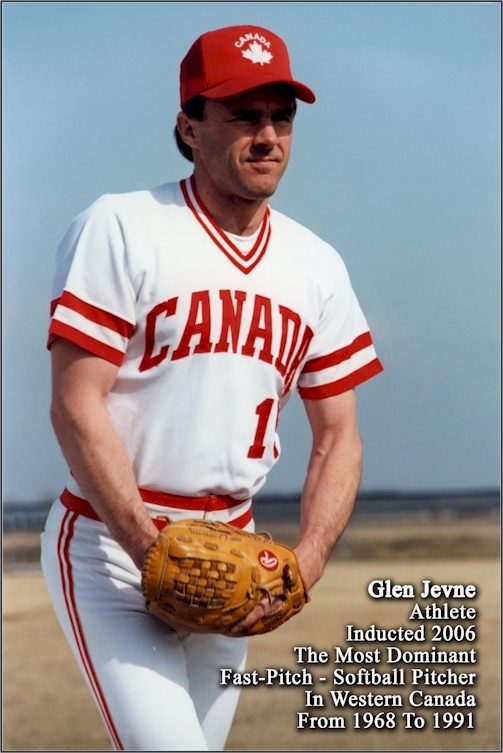 Before 10,000 spectators, Glen Jevne pitched final game in relief versus Team USA, innings 4‑7, and retired the last ten batters on the American team to clinch victory and the gold for Canada. "This was my most memorable game. The photo with catcher Rob Menzies appeared in major US newspapers." Glen pitched final, 2‑0 victory versus New Zealand. 1990 ‑ ISC Softball Congress World Tournament at Victoria. 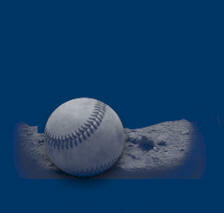 Glen contributed to the sport as an ambassador and role model by conducting pitching clinics in Alberta. Glen Jevne has retired from the competitive arena of fast-pitch softball, but has found another sport to excel at, golf, in which he was one of four Canadians who advanced to the final stage of the Champions Tour's Q-school in 2006.